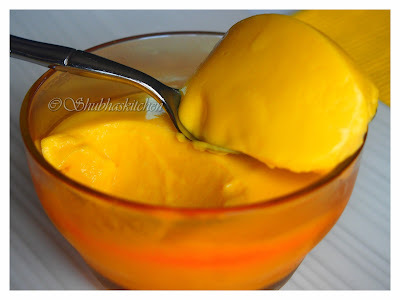 I love Mangoes and every summer we consume mangoes so much yet are not tired of eating them:) I have already shared various mango recipe in my blog like Mango Milkshake, Mango Kulfi, Khatta Aam Panna among many others.. In today's post, I will be sharing a recipe of Mango mousse, a delicious dessert . Being a vegetarian, I do not use gelatin in my cooking. Hence I have prepared this sweet dish with agar agar .Its easy to prepare and can be prepared well in advance . Hence it is perfect while entertaining guests and is great dessert in parties. Soak agar agar in 1 cup of water for 15 minutes. Then, boil this water. Stir regularly until the agar agar dissolves completely. Now blend sour cream, cream cheese, sugar and the hot agar agar -water solution in the mixer for about 5-7 minutes until smooth. Lastly added the sweetened mango pulp. Mix gently until completely well blended. Pour the mixture into individual serving bowls or dessert cups. Cover each dessert cup with a plastic wrap and chill them overnight (at least 8-10 hours). Serve chilled just as is or topped with fresh mango pieces. 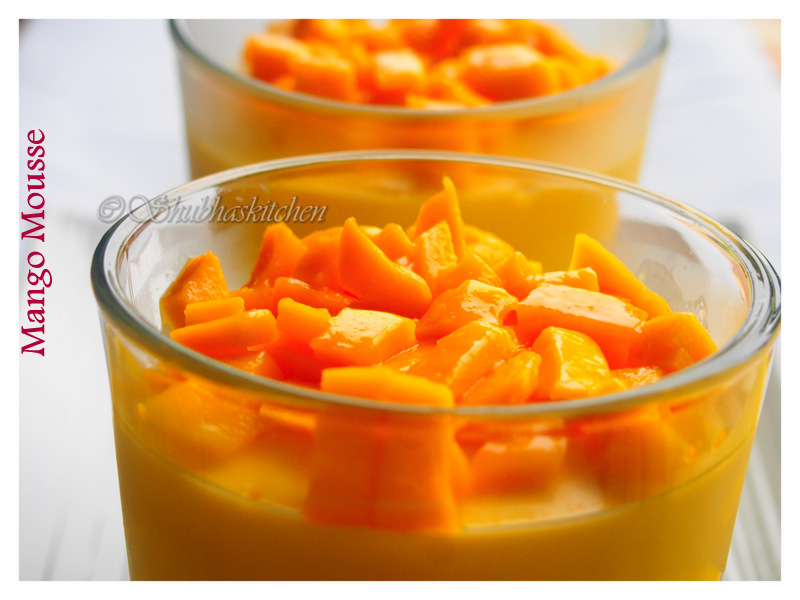 Mango mousse can be prepared using gelatin too. If using gelatin, the recipe needs to be modified a little. Dissolve the gelatin in boiling water. Now blend sour cream, cream cheese, sugar and hot gelatin-water solution in a mixer until smooth. Lastly add the mango pulp and mix gently until well incorporated. Pour the mixture into individual serving bowls or dessert cups. Cover each dessert cup with a plastic wrap and chill them overnight.Serve chilled just as is or topped with fresh mango pieces. delicious mango mousse, Shubha! loving it! perfect for summer! Looks so delicious and tempting shubha! !...Pass me a bowl please:)..Perfectly made mousse!! So tempting and gorgeous :) .I love it. This is one of my favorite dishes. Totally love your recipe, got to give this a try! OMG!! This is so tempting and vibrant. 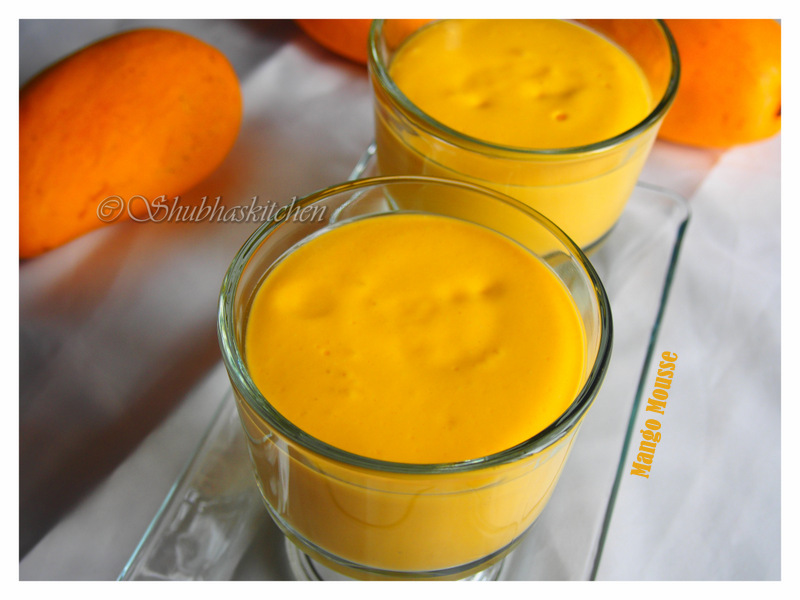 wow ..inviting mango mousse...drolling here..
Meri, your mango mousse sounds absolutely refreshing! Shubhaaa..... looks so refreshing! Have been craving to prepare this for so long. Love the photos! Meri this dessert looks so delightful. I am crazy about mangoes, but unfortunately mango season is months away here where I live! But I am definitely pinning this to try later! Oh god! 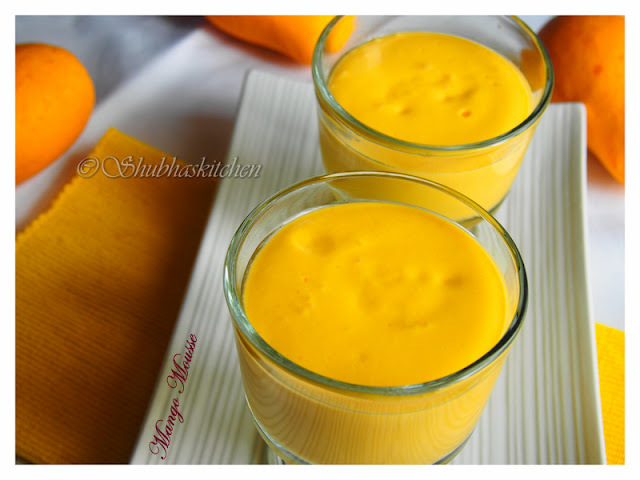 Mango Mousse looks stunningly refreshing! I so want these glasses right now! 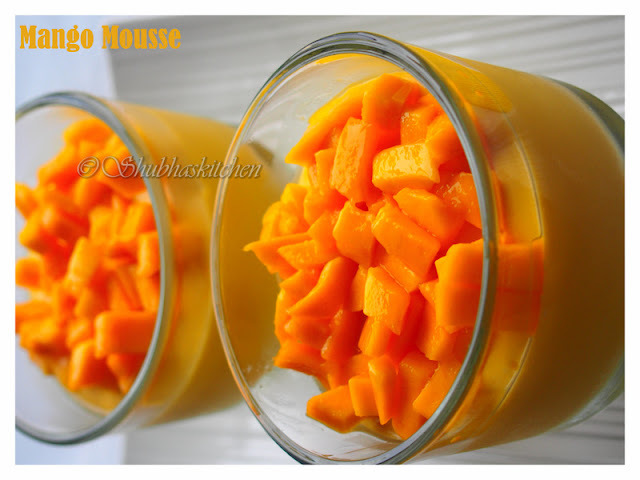 Wow this mango mousse is looking awesome. Perfect clicks dear!! I love Mango Desserts! 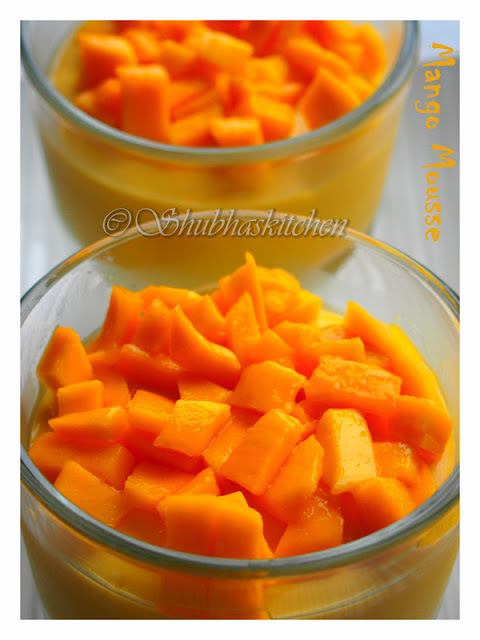 And this Mango Mousse is such a crowd pleaser.. I hv bookmarked this for my next dinner party :) Lovely photography and ambience here..